Agistri: a small island in the Saronic Gulf at the west side of Aegina Island with natural beauty, green woods with pines and deep blue waters. If you want a relaxing weekend away from the city’s noise, this is a beautiful island worth exploring. away from the common touristy haunts. We found that our favourite beach was not even on the map of Agistri. Next to Skala beach in a distance of 300 m., Laza Beach is quiet, pebbled and perfect for swimming. Since you discover this relaxing paradise you will love it! Laza Beach will captivate you as soon as you step foot on its pebbly shore. An ideal place to spend the day, you can begin your day enjoying coffee and breakfast at one of the nearby taverns, then swim, sunbathe and have fun in beautiful surroundings. 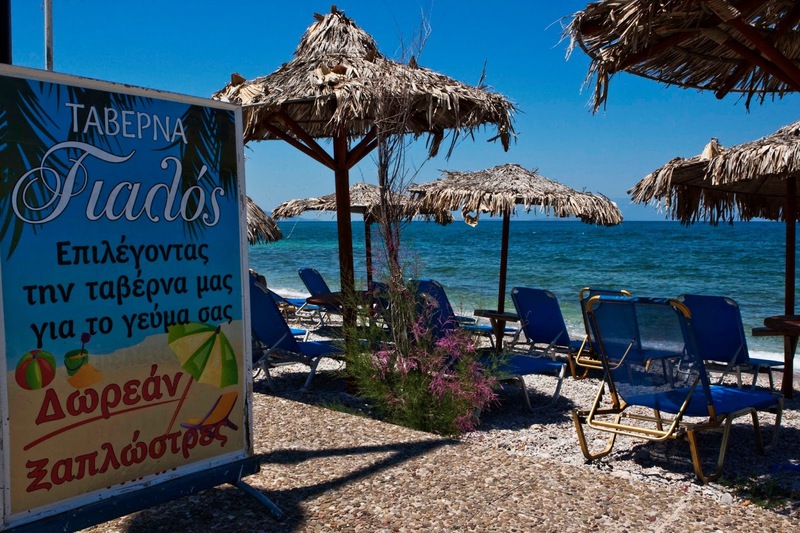 According to locals, Laza Beach was named so many years ago and the hotel that looks at it took the same name too. As well as being the ideal spot to avoid the more crowded places and all the noise that comes with them, Laza is also perfect for the kids. They can swim safely in the shallow waters all day long while we can enjoy the sun. All in all, youur stay in Agistri will be unforgettable for your children and you, and one of the most relaxing holidays you will ever have. And less than an hour away from Athens, it’s nice to know you can go back soon.